We're Going to the White House!! 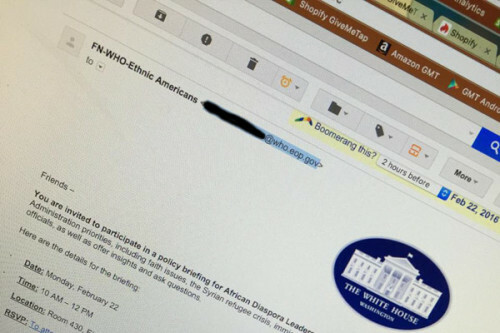 Just after speaking with our NGO partner in Ghana about (frustrating) international policies on water and sanitation, and then declaring that I going work to affect things at the policy level, I get an invitation from The White House!!! We're going to discuss Africa-America relations, immigration policies and more. Thank you very much, God! I was like “how did they hear/know about little old me who just touched down in the USA” and then I was reminded of a quote: “when little dogs keep yapping the big dogs hear”. I’ll keep that mic in my hand and work to continue helping in any way I can.